PowerArchiver is a professional 64-bit (and 32-bit) compression utility, with support for over 60 formats and exclusive Advanced Codec Pack - .PA format with strongest/fastest compression. New .PA format has two modes - Optimized Strong and Optimized Fast. It offers best compression on the market due to specialized compressors for pdf/docx/jpeg/exe/text/image/sound formats. Overall .pa format is strongest/fastest format on the market today! 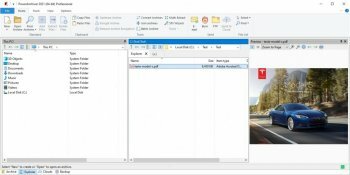 Over 15 various codecs and filters work together to lower the size of your files. Exclusive PDF/DOCX/ZIP re-compression - up to 85% lower size. Special data de-duplication filter will significantly compress similar files. PowerArchiver 256bit AES encryption is FIPS 140-2 validated for government use. Supports Volume Shadow Copy (VSS) and UAC elevation, so you can zip any file on your computer, even in use databases or Outlook PST files. Password Policies allow setup of a minimum password policy/rule, to force users to enter passwords w/proper length and mix of characters. File Wiping wipes your temporary files by using DoD 5220.22-M suggested methods for clearing & sanitizing information on writable media. Decent performance, but not a particularly good value for the price since there are free archivers that give you as much. 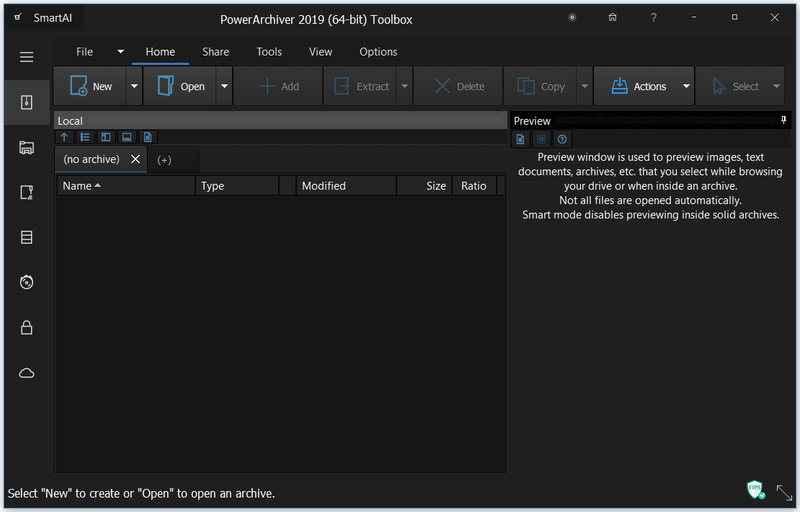 I pretty much gave up on PowerArchiver because of performance issues but with the release of 2016 that's completely changed This versions features have greatly improved over 2015. Also the Touch Screen Support is NICE and it supports ever format imaginable. I tried this, and while it is pretty good, things that I don't like are that in order to create RAR files, you must have WINRAR installed. If that is the case, why not just Use Winrar and 7zip? Good archiver. Never had any problems. Support is also fine. I guess PowerArchiver is the best archiver money can buy. Still the best and AWESOME support, both by email and forum. The best there is, PLUS excellent support via the forum. Up until version 9.2, this was a worthwhile addition to a toolkit. Since then, which coincides with the author's decision to make money the sole motivator [it had previously been utility to the average user] for the project, it is at best a poorly crafted, bloated helper for the seriously weak-minded. Not useless, but not really necessary either. Hands down, the best there is. The software really needs to change their policy about requiring a new serial number for every major update. Its just a hassle to people who have paid for it. Cons: Licensing system sux. Why not a lifetime license for that price? Does not contain the level of features expected from a shareware archiver. Bottom Line: Decent performance, but not a particularly good value for the price since there are free archivers that give you as much. Very good archiving program. I changed to PowerArchiver from WinZip Pro because WinZip charges user 10eur per year if you want to use latest version. PowerArchiver provides lifetime upgrades but do not has 64 bit version. All I need in compressing and handling of compressed files, FTP, backup, burner and then some. And a BIG thank you to Mili Sefic for great support, keep up the good work guys.